That's a fat-guy first down! 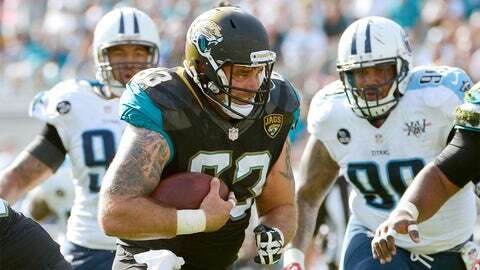 Brad Meester is hanging up his cleats after being a mainstay on the Jaguars’ offensive line since 2000. Well, you can’t just leave without a gift, right? Boom, that’s a first down right there. The home crowd loved it, giving Meester a standing ovation. What’s more, that set up Jacksonville’s first touchdown of the game shortly after. Now that’s cool.